Intuition is an important thing to have, but not everyone has it and not everyone who has it listens to it. Intuition is like a muscle - you can actually develop it by using it more regularly and more purposely, but it can also become atrophied if you are being gaslighted or abused, or even if you are just getting poor advice about how to live your life. Knowing the state of your intuition is the first step to learning to trust it, and trusting your intuition can take your life and your career to new heights. Unfortunately society and even parents place a higher value on analytical thinking, which causes people to learn to ignore their intuition. We are often told to only value facts or to not be emotional. Intuition can be trained out of children when they are told that parents are always right or even when they are forced to hug adults they don’t know or trust. People can fail to develop their intuition when they live in fear of danger or abuse or never learn to trust themselves or others. But the people who swear by intuition have learned to trust that small voice inside of themselves in times when they need it, and it tends to do very well for them. Oprah Winfrey even says that the only time in her life she has made mistakes was when she didn’t listen to her intuition. Studies have shown that intuition often helps us make the best possible decisions under certain circumstances, and there is still more research that shows that certain cultures make better use of their intuition than others. Throughout history there have been people who were forever affected by their intuition. Julius Caesar's wife Calpurnia had a dream that her husband would be murdered and urged him not to go, but it wasn’t a psychic phenomenon so much as a reaction to historical current events at the time. Intuition also came into play when Charles Howard purchased the famous racehorse Seabiscuit, despite his scrawny appearance, thanks to his background in the military cavalry and business worlds. Sometimes in life and in your career you have to make split second decisions, and the best way to do that is to trust your intuition. There will be times in your career when taking the time to weigh all the options just isn’t going to happen, and if you want to get the competitive edge you need to start developing your intuitive abilities. Of course, when you are doing things governed by rules or long term consequences, like working under regulatory scrutiny or hiring new team members, it makes more sense to rely on the facts. But when you are working in a rapidly-changing or high-stakes business environment where innovation is key, intuition can be a powerful tool. 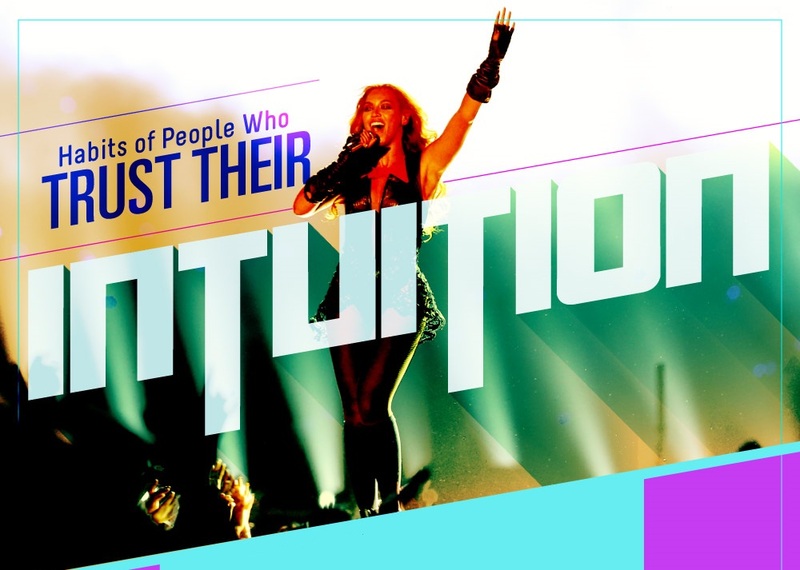 Learn more about the power of trusting your intuition from this infographic!